Man. What a year 2018 was. When it comes to home-related gifts, the living room is the undisputed king of the household. From big-ticket items to novelties, there's something for everyone. 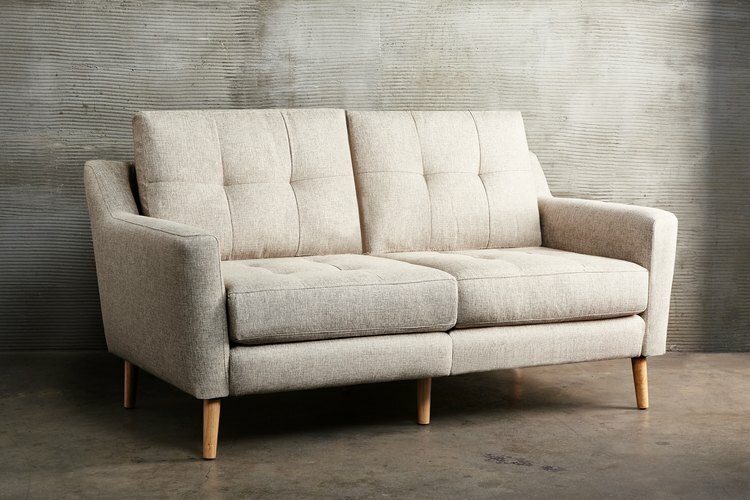 Consider this an entry-level sofa for the person in your life who's making a fresh start. Burrow's pieces are modular — meaning you can expand them by adding in as many sections as you like (even a chaise … ooh là là). Other bonus details: There's a built-in USB charger, the fabrics are chemical-free, the wood is sustainably sourced, and everything is made in the U.S. of A. If that's not a universal crowd pleaser, we don't know what is. For the person who really needs to graduate from IKEA, there's Floyd, the Detroit-based company revolutionizing self-assembled furniture. 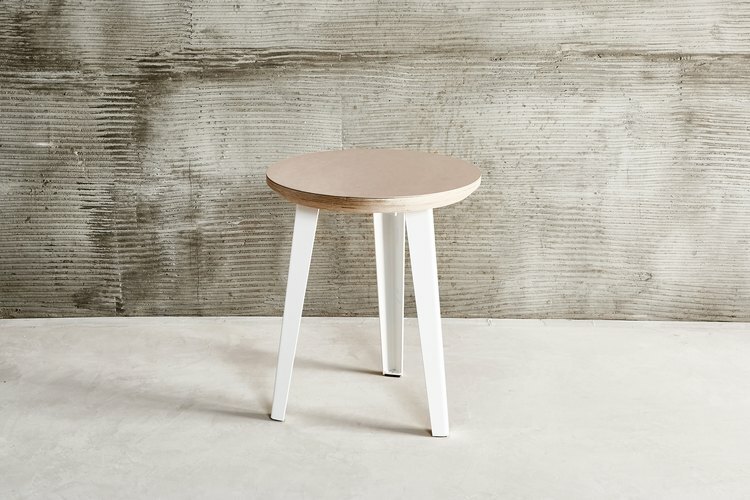 Their side table is great for someone ready to move on up, but who is still living in a small space — use it as a table or stool. WAAM (stands for We Are Always Moving) reinterprets the classic milk crate in a version crafted from high-density plywood. 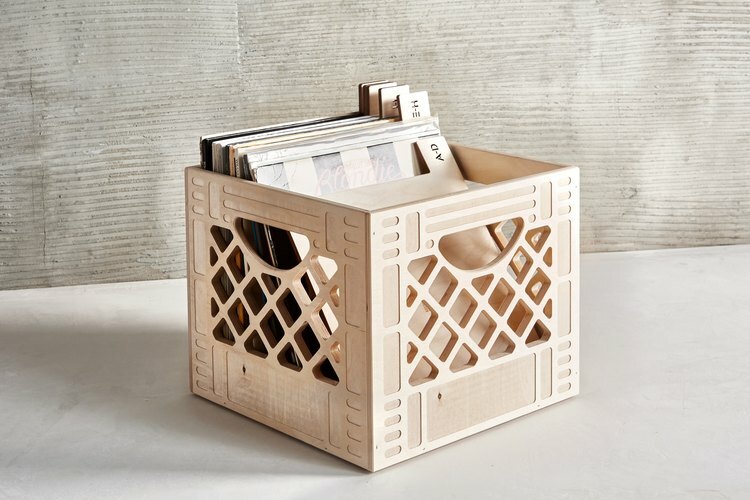 The crate's sturdy design allows for stacking; it also happens to perfectly fit vinyl. 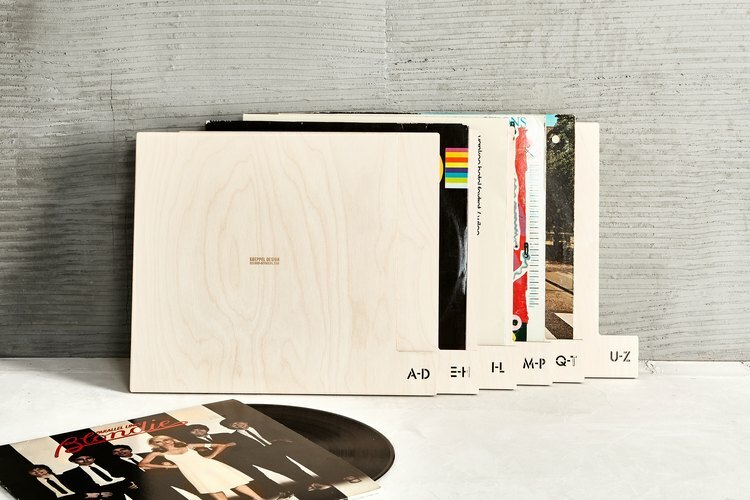 When we find things that make our vinyl collections look even better, we're there. Enter Koeppel Design's wood dividers, which will help audiophiles alphabetize their stash. It's not necessarily hard to find aesthetically pleasing speakers. What is tough is finding affordable, good-looking speakers. 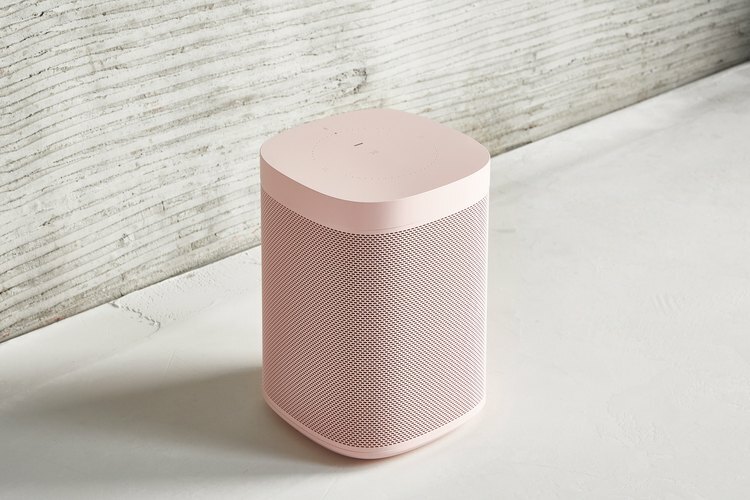 Sonos and Danish design brand HAY have answered all of our prayers with their new collab, which comes in ultradesirable colors like dusty pink, olive, muted yellow, and more. Designed in Brooklyn, then sent to artisans in Ethiopia for weaving, Bolé Road's textiles offer some of the most brilliant and thoughtful color combos we've seen. 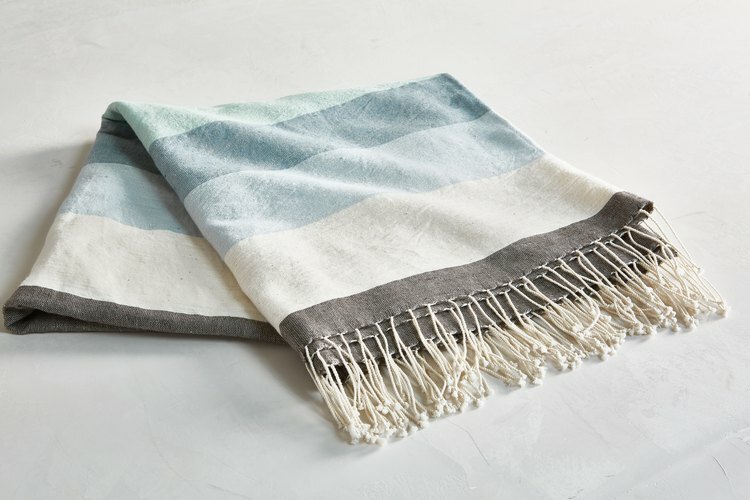 The Afar throw comes in a vibrant pink and green, but our favorite style is "Mist," a soothing array of gray and blue stripes. 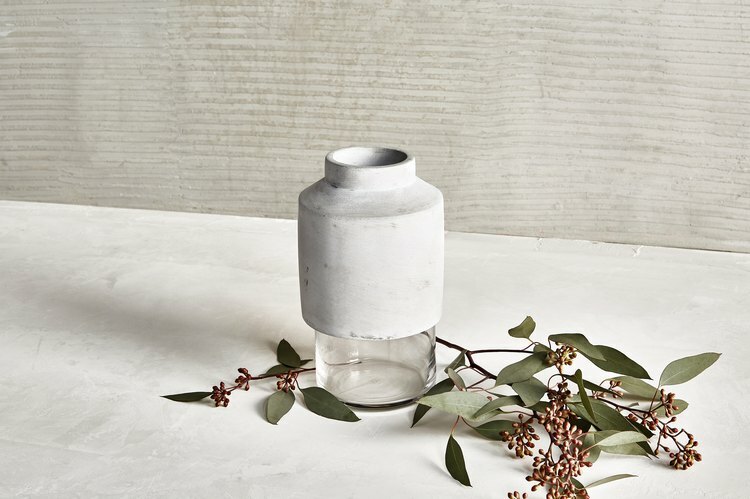 One of our go-to brands for Scandinavian design, Menu's concrete and glass vase has an industrial-meets-minimalist vibe that feels effortless (but is actually really hard to find). 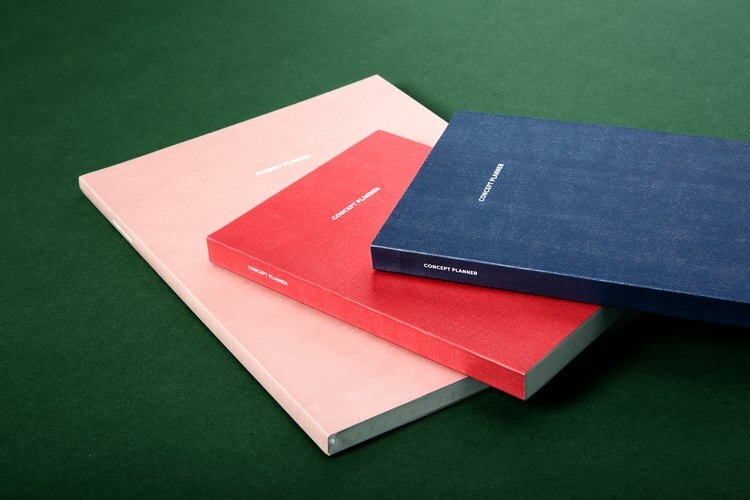 Looking for a gift that's "festive" but doesn't come covered in a mountain of tinsel? 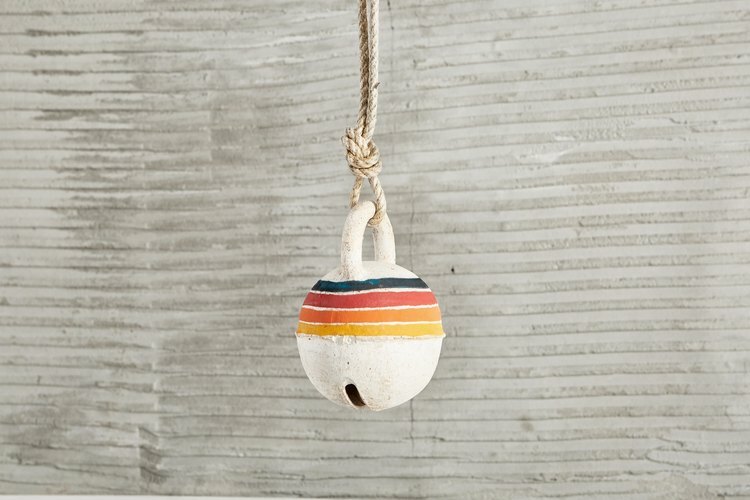 MQuan's stoneware bell is cheerful in all the right ways. If MINNA isn't on your radar yet, it should be — the New York-based brand has captured an aesthetic that is fresh and modern without being overbearing. 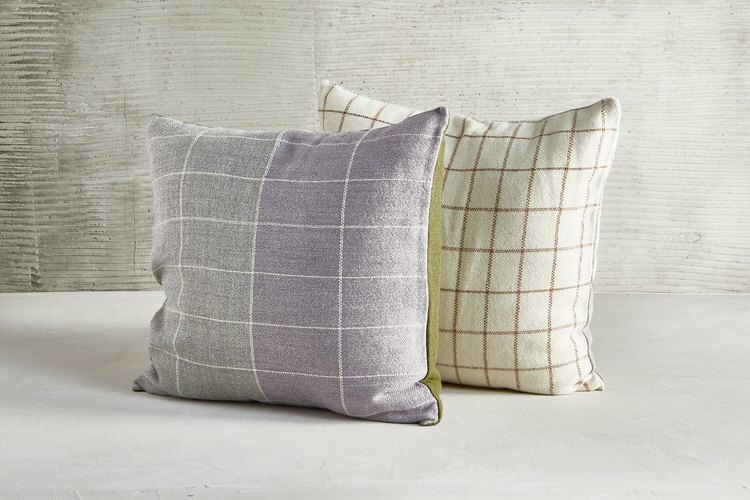 No doubt, you know someone who has complained about forever searching for the right couch cushions (um, hi), and these supersoft alpaca pillows offer a motif that can pretty much go with any decor style. For the entrepreneur in your life, work is, well, everything. Make their day-to-day a little happier, healthier, and prettier. 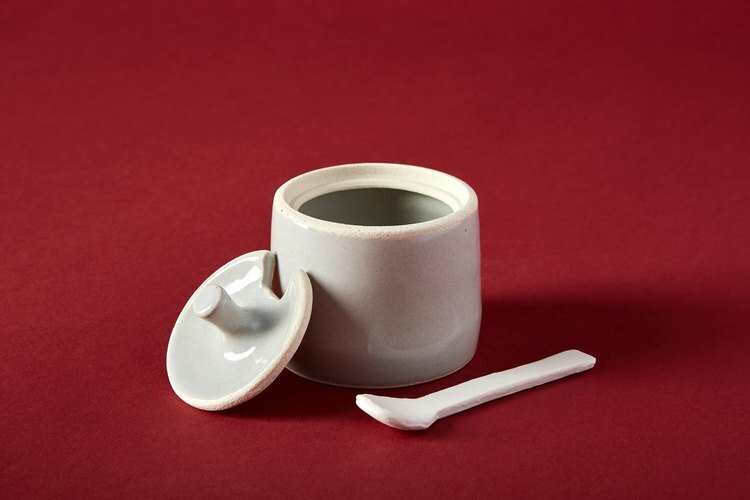 Here's a gift that will actually make a difference in someone's life — especially if that someone is perpetually hunched over a computer. (Seriously, folks, that story doesn't end well.) 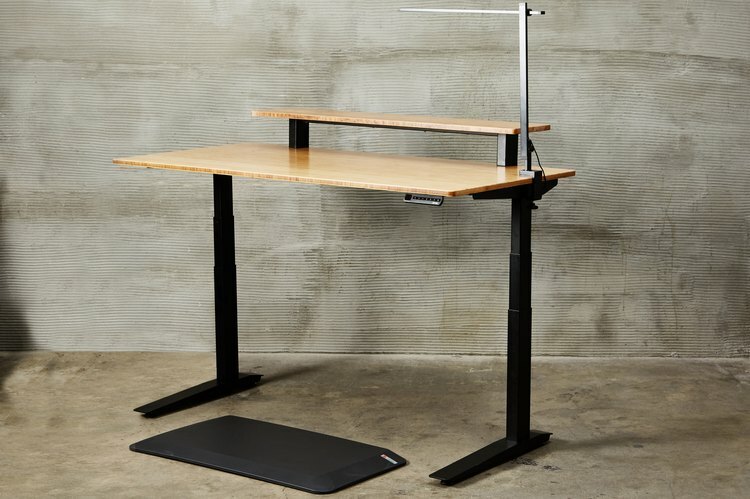 Fully's Jarvis Standing Desk will introduce a healthier approach to work while also adding some handsome modern design to an office. It's adjustable to fit any height and made from sustainable, pesticide-free bamboo, so it's a healthy choice for the earth as well. For the person who just can't get it together, Poketo's planners are no-fail. They come in sections that allow you to lay out weekly, monthly, and yearly plans, with plenty of room for notes. 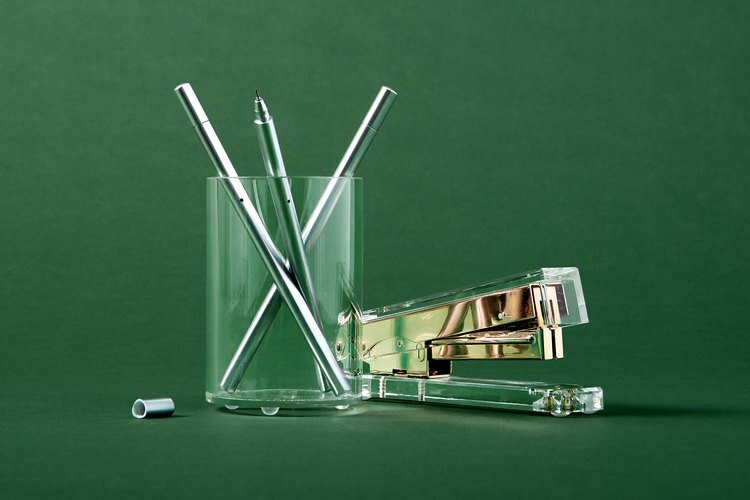 "I'm not like a regular desk, I'm a cool desk," is what we'd imagine the desk with these Lucite accessories would say. 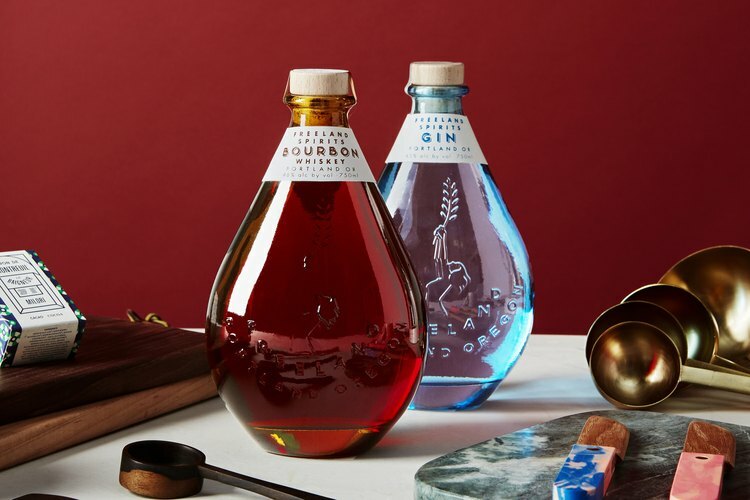 So gift them to the person who likes when everyone in the office knows how cool they are. For your work wife: A calendar that never runs out. 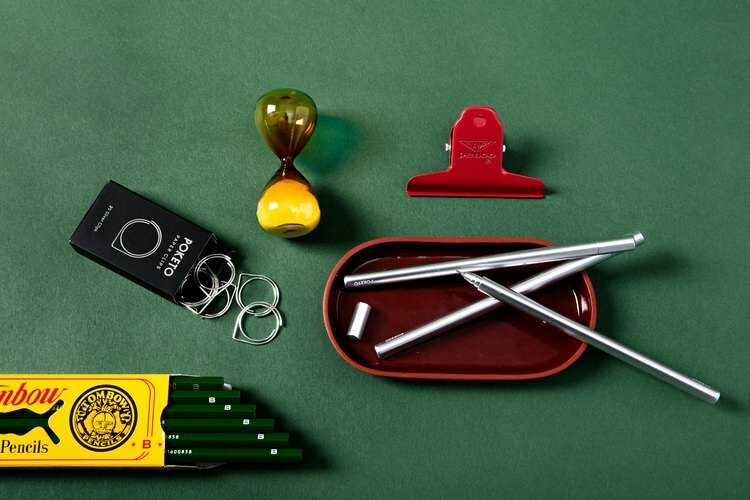 Bits and bobs to fill in the gaps — you can't go wrong with cute office supplies. Everything here is $20 or less. 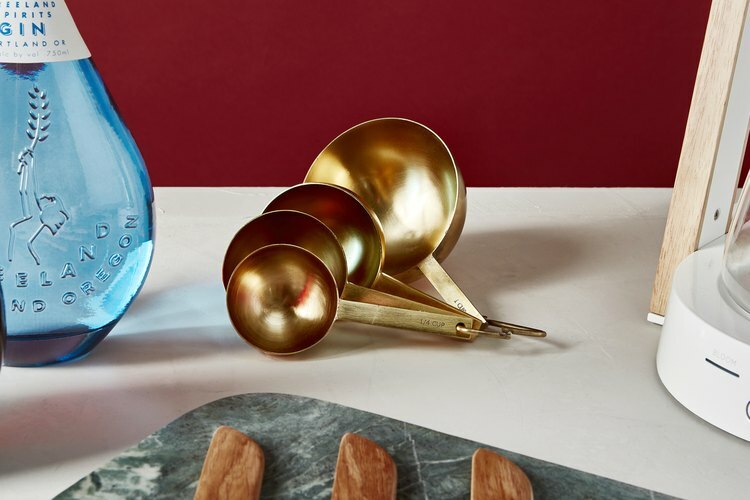 Adding little luxuries to the kitchen and bath is an easy way to become someone's new favorite person. These gorgeous soaps deserve prime real estate in a guest bath. 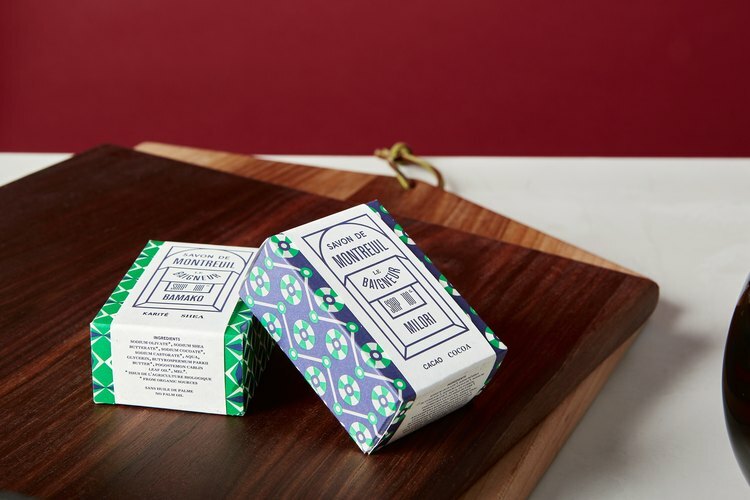 Handmade in Paris with natural ingredients, the blends involve luxe and unexpected components like raw shea butter from Mali and IPA beer. 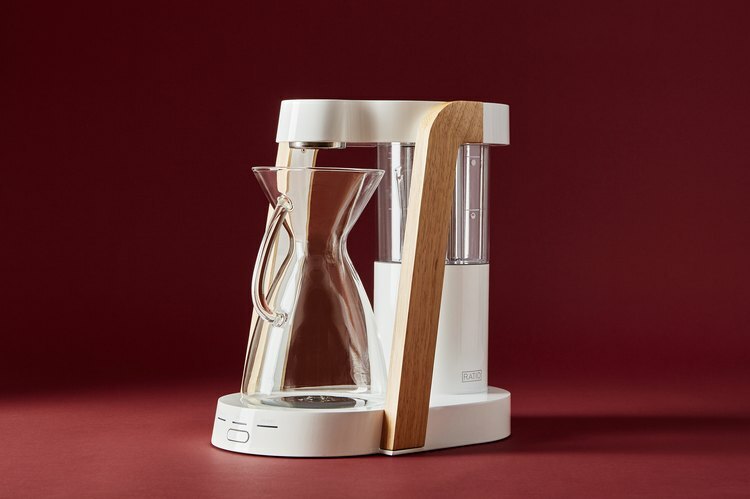 If there's a coffee connoisseur in your life that you really like, then you can't go wrong with one of Ratio's coffee makers. The company, based in Portland (and you know those people know their coffee), prides itself on its handcrafted product, which simulates a barista pour-over. Plus, have you ever seen a more beautiful machine? 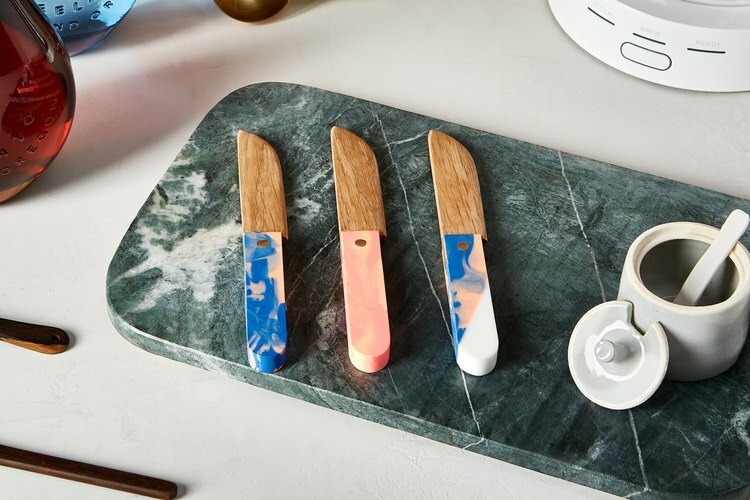 For your friend with eclectic style (and a healthy cheese addiction), consider this fun cheese knife. Thanks to the cool marbled resin handles, no two are alike. 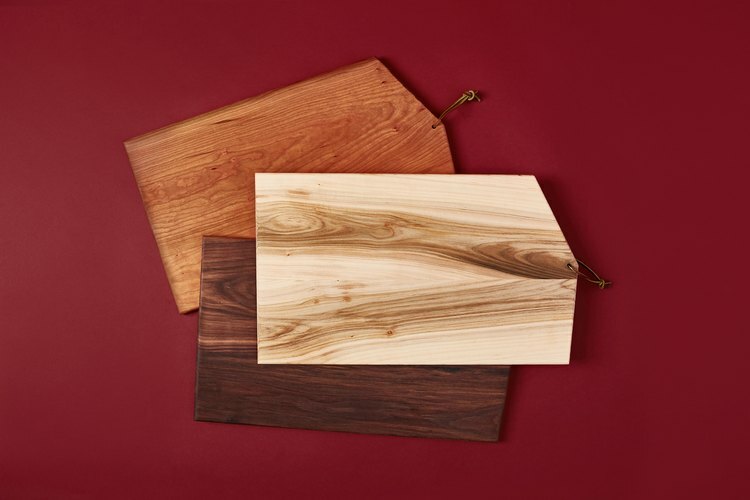 Custom-made in Los Angeles, and available in a variety of wood grains (walnut, cherry, white maple, two-tone maple), these cutting boards look lovely on display — but don't be afraid to use them for heavy-duty chopping, either. 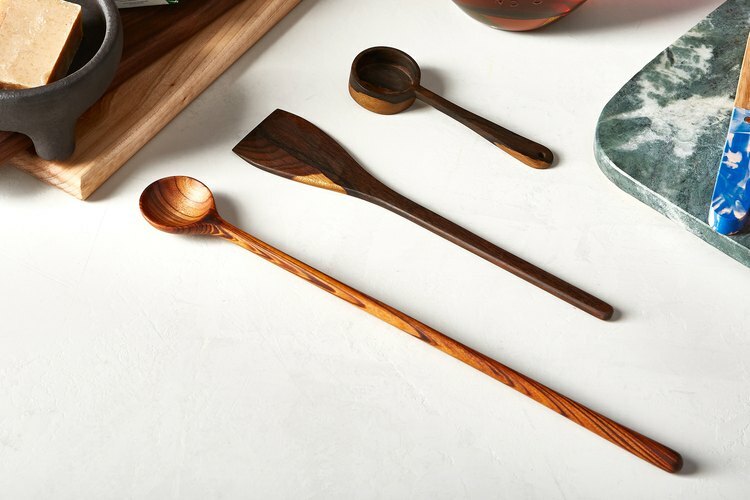 The first feel-good thing you need to know about Itza is that their wood is ethically and responsibly harvested. The second thing: These pieces feel good. That might sound weird, but when they arrived in our office, we spent a little too much time running the back of the spoons across our skin. And that is all we will say about that. One of our favorite collabs of the year is Parachute's partnership with Hedley & Bennett (known for making aprons and chef gear). The result is a minicollection of table linens in festive colors. 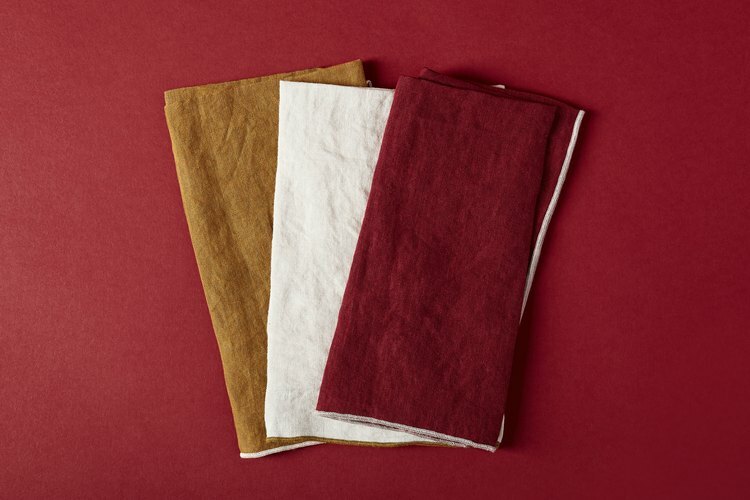 Our pick: The napkins, which come in Curry, Oat, or Merlot. True, dropping 50 bucks on measuring cups seems like a bit of an indulgence. But folks, it's the holidays, and surely there is a baker in your circle who will appreciate these. Sheldon's handcrafted ceramic spice jar comes in a variety of colorful glazes — perfect for the person whose kitchen is hypercurated. 2018 was also the year of our love affair with Hawkins, a brand born out of Upstate New York that embraces a sort of country living aesthetic — one that's utterly simple and pure. 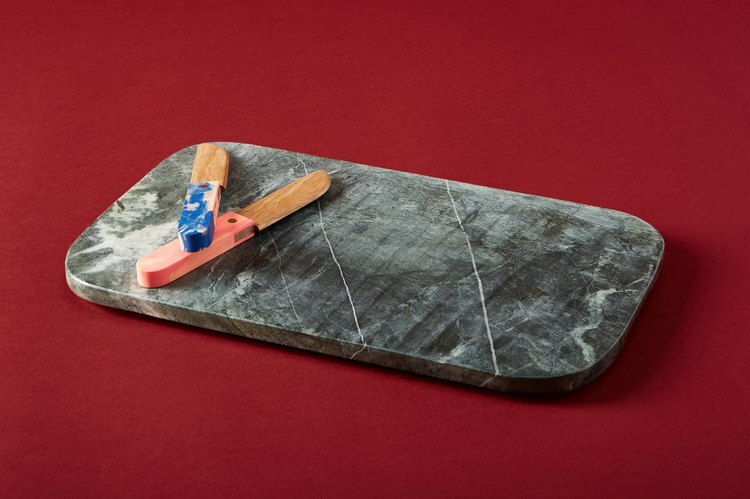 This marble serving board is substantial (like, you may actually get a workout carrying it) and the type of piece you'll have forever. 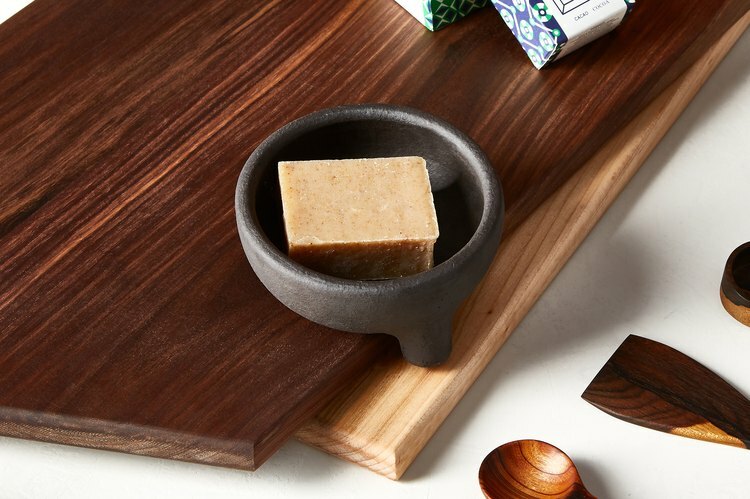 Rest this handmade piece on a ledge in the shower so that the built-in spout can expel all that soapy residue that normally collects in a soap dish. Want to win some of these awesome gifts? Click here to enter.